To use, you need to drop the Bath Blaster into your bath of water and wait for it to fizz away. Once ready, jump on in! 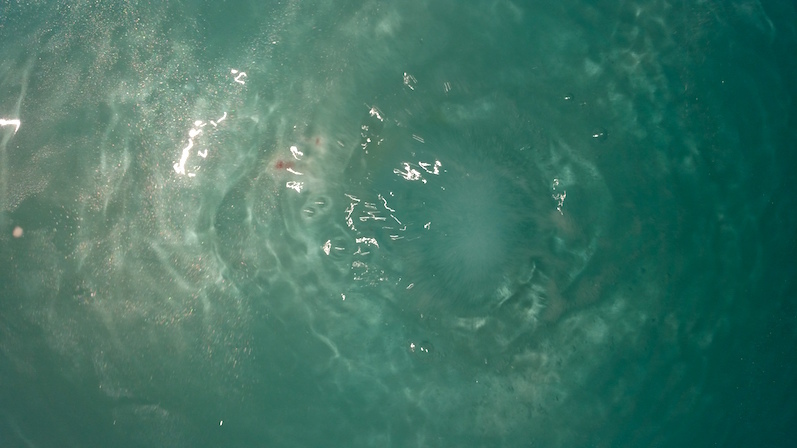 Once you've dropped it in the bath and the Blaster starts to fizz away, the water begins to change colour to a bright shade of blue. Also as this particular one contains glittery details, there was also a nice shimmer within the water. The white butter centre takes longer to fizz away than the rest, and I actually managed to save it when it was half melted to use it for a second bath which left the water feeling soft and buttery upon the next use too. Once you get into the water, the first thing you notice is how soft it is. The butters and essential oils work together to make you feel as if you're bathing in... well, I don't really know how else to describe it other than a big soft and buttery bath. If you've ever tried Lush's Butterball, it's like that. The skin is left feeling incredibly smooth thanks to the mix. You could potentially get away without moisturiser post-bath, but if you have dry skin you may still want to do that. 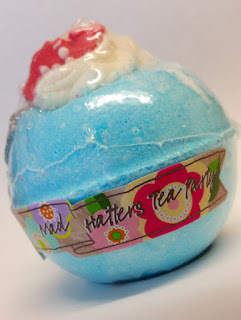 The smell of Mad Hatter's Tea Party is divine. It leaves you feeling super relaxed and content and it's fragrance spreads around the house too, I could even smell it still the next day! 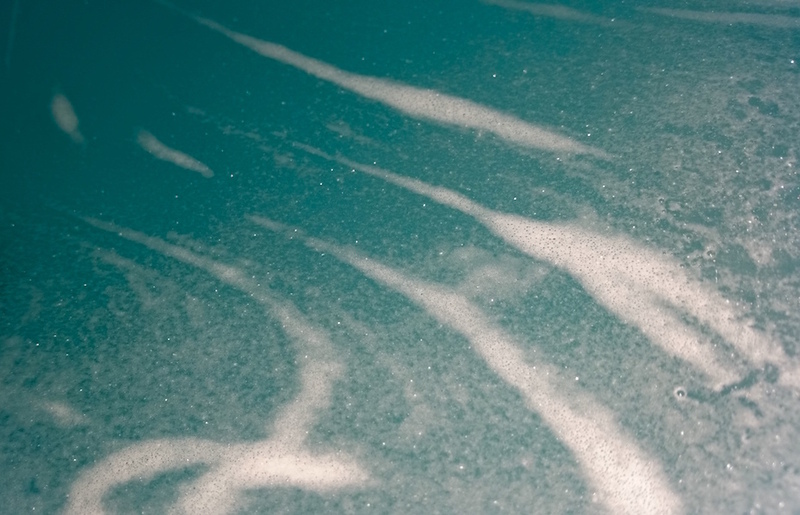 When it comes to brightly coloured bath bombs, staining can be a concern. This didn't leave any staining on either the skin or the tub, but there was some glitter left behind on the skin even after rinsing. Not all of the Bath Blasters contain glitter, so if this is an issue to you then I recommend trying a different one. I did find that the teapot didn't dissolve in the water, so I can assume that some of the other Bath Blasters that have decorations on them may be the same in this respect and they will need removing post-bath. 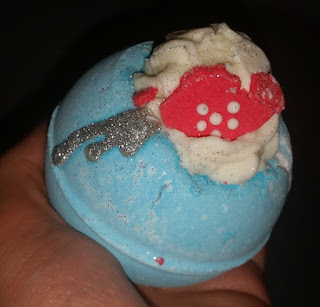 Would I use more bath bombs from Bomb Cosmetics? Absolutely. The Soapbombs website was a pleasure to deal with, selling the Bath Blasters at a fantastically affordable price and with reasonable delivery costs. In addition, the delivery was speedy and the contact between the company and customer during the delivery period was also great. It's a shame that there was an incident en route that broke the teapot on the bath bomb, but as I stated earlier, the packaging was more than sufficient. Sometimes there is just nothing you can do to save something as delicate and crumbly as a bath bomb as it makes its way in tandem with numerous other deliveries. If you are after some winter skin treats, definitely check out Soapbombs for a huge selection of goodies that your skin will be thanking you for. They are also stocking Bomb Cosmetics Christmas themed products to help you get into the festive mood. What is not to love? What is your favourite Bath Blaster from the Bomb Cosmetics range? If you've never tried them, how many would you like to try?